The 2018/2019 seasons start October 25th! New this year, ROLL SESSION PUNCH CARDS! The east pool will be available for rolling every night when polo is on, and you can save some dough by buying a punch card for 5 or 10 sessions. See the schedule and costs for more details! Like to throw things and tackle your friends? Want to learn to kayak or practice your boating skills and stay fit in the winter? 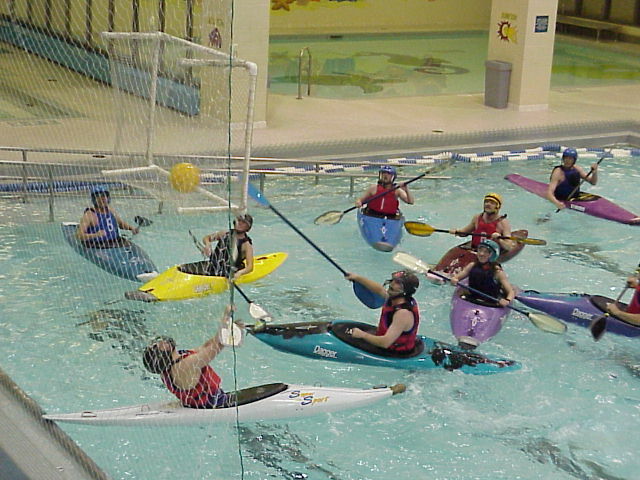 If you answered yes to any of these questions, kayak polo might be for you!